Imagine being too sick to go to the doctor and having the doctor come to you instead. It’s not only possible at BloomMed LLC in McKinney, Texas; it’s how Dr. Stephanie Cudjoe works with many of her patients. Dr. Cudjoe offers mobile concierge medical care, visiting you in your own home. She prides herself in unhurried visits where she can listen to what ails you and find the right treatment option for your needs. To schedule a home visit, call BloomMed LLC by phone or use the convenient online booking feature. What can I expect from a house call? Dr. Cudjoe brings medical care to you and can diagnose and treat many health issues during a house call visit. She is available to make home visits Monday, Tuesday, and Thursday for your convenience. Your initial visit and any lab tests or procedures occur at the McKinney location medical office, attached to McKinney hospital. Clinic hours are available on Wednesdays and Fridays to accommodate Dr. Cudjoe’s home visit schedule. Who qualifies for a house call? BloomMed offers a membership plan that covers Dr. Cudjoe’s house call services. Anyone can sign up for a membership and take advantage of the flexible appointment options and personalized, in-home care she offers. 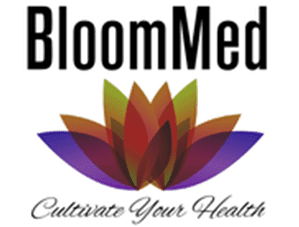 As a member of BloomMed LLC, you also receive 24/7 access to Dr. Cudjoe by phone, text, or email. If Dr. Cudjoe is out of the office for more than three days, a board-certified physician is in place to cover all urgent calls. There are also a la carte service rates available for the families of existing members. You can use an a la carte service to schedule your initial appointment before becoming a member. BloomMed LLC also offers lower fee options for necessary lab work through Quest Diagnostic Laboratories. The primary benefit of BloomMed LLC’s house call service is to provide the convenience of having the doctor come to you. This is especially important when you’re too sick to make it to the clinic or don’t have a reliable way of transportation. As a member, you can take advantage of Dr. Cudjoe’s undivided attention. She always ensures that you have the time to talk about your health concerns and have your questions answered. With a membership, you can receive this attention at home. House calls allow you to be easily involved in your medical care. 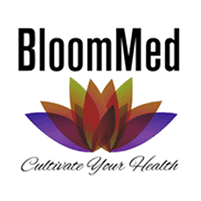 To learn more about membership plans and house call services, contact BloomMed LLC by phone or by using the online booking feature.